Nose: The aroma is fittingly juniper forward with warm spicy notes of cinnamon and nutmeg. Palate: The palate is dry and full-bodied with a citrus quality with spice at the back, followed by a large helping of juniper. Finish: The finish retains that ever present spiciness but with a refreshing touch of citrus zest and a hint of apple. Overall: This well-constructed gin displays refreshing notes of citrus with warm spice, and makes for a fantastic G'n'T. Chase Distillery is Britain’s first single-estate distillery. The potatoes utilized in the making of the Chase Vodka is all grown in their own farm in Herefordshire. 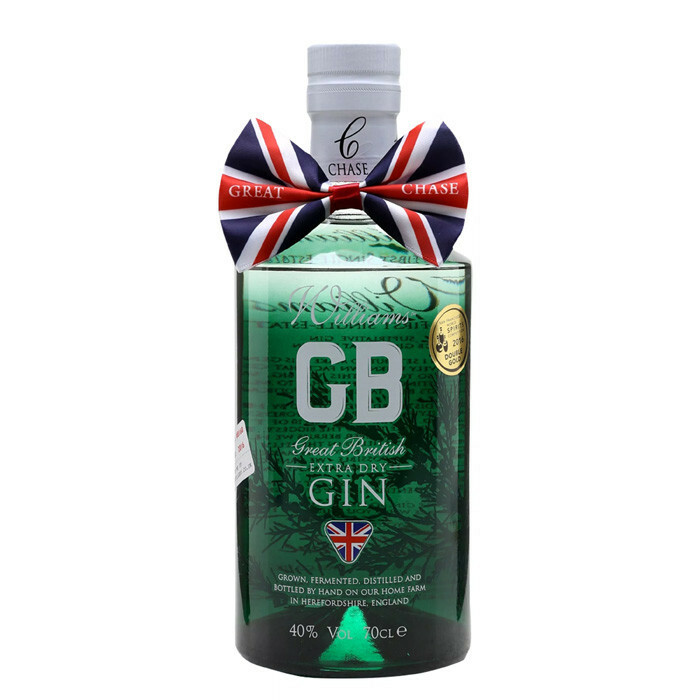 It is the same vodka which is utilized as base spirit to make their William GB Extra Dry Gin. William Chase, the founder, is often heard talking about the provenance of Chase Vodka and Williams Gin and he believes that it is the rich, red Hereford soil and Single-Estate mentality that have led to spirits being named ‘The World’s Best’.